Highland Film Group will introduce the project to international buyers during theAmerican Film Market, which opens Nov. 1 in Santa Monica, Calif.
“A Score to Settle” will be directed by Shawn Ku, winner of the Toronto Film Festival’s Discovery Award for his debut feature “Beautiful Boy.” The script is written by John Newman and Christian Swegal. 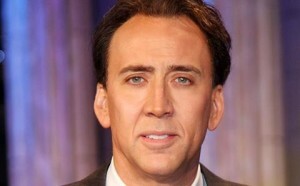 Cage will play a convicted mob enforcer battling a terminal illness. He’s released from prison many years after taking the fall for a crime he didn’t commit and sets out on a path for revenge against the people who wronged him. Producers are First Point Entertainment’s Lee Clay (“Rememory”) and Goldrush Entertainment’s Eric Gozlan, who teamed with Ku on “Beautiful Boy.” Highland Film Group’s Arianne Fraser and Delphine Perrier are executive producing. Cage recently starred in the horror-thriller “Mom and Dad,” which world premiered in the Midnight Madness section of the Toronto Film Festival last month. He is currently in post-production on “#211” and “Looking Glass,” which Highland Film Group is also selling. Cage is represented by CAA, Link Entertainment, and Bloom, Hergott, Diemer, Rosenthal, Laviolette, Feldman, Schenkman & Goodman. Ku is repped by Paradigm Talent Agency, Field Entertainment, and Morris Yorn Barnes Levine Krintzman Rubenstein Kohner & Gellman. First Point and Goldrush Entertainment will produce. Nicolas Cage will topline A Score to Settle, an action thriller from director Shawn Ku. A Score to Settle follows a convicted mob enforcer (Cage) battling a terminal illness. When he is released from prison many years after taking the fall for a crime he didn’t commit, he sets out on a path for revenge against the people who wronged him. Lee Clay will produce for First Point Entertainment and Eric Gozlan will produce for his Goldrush Entertainment banner. Arianne Fraser and Delphine Perrier are executive producing via Highland Film Group, which will introduce the project to international buyers during the American Film Market. Cage, who was last seen in TIFF Midnight Madness selection Mom and Dad, is repped by CAA, LINK and Patrick Knapp at Bloom Hergott. Ku is repped by Paradigm, Field Entertainment and Morris Yorn.